This is a magazine for entertainment and enjoyment! A part of my emotional health is feeling safe and having a cozy space to sit in. and show you it's soft light. 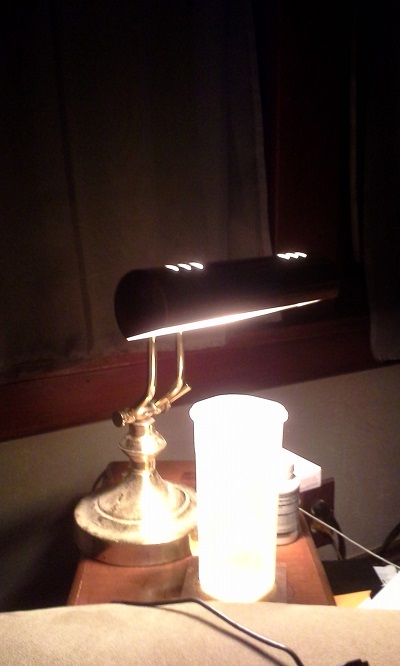 I needed a lamp for my side table. That's my water with epsom salts! Yes Buttercups! I truly drink it throughout the day! next to my chair in the living room. it had a working bulb in it. So, I'm using it! and the light that this lamp casts is comforting to me. I want to share this with my Buttercups! I'll clean it tomorrow. Goodnight Buttercups! Sleep tight! for the night. They're safe! And learning to understand that they are! See: My Complaints! Wha, wha, what!? MicroChipping Babies! Progression Or Regression! All U.S. Babies Will Be Microchipped by December 2016.